The other day I walked into a prospect’s new office space. It was beautiful, modern and minimalist. I wanted to live there, admittedly because I’m a modernist. As I headed back to my own office, I had envy, even having relocated our firm into new digs just three weeks earlier. I may have had a little regret as well, having chosen not to start from a clean palette and build something modern. 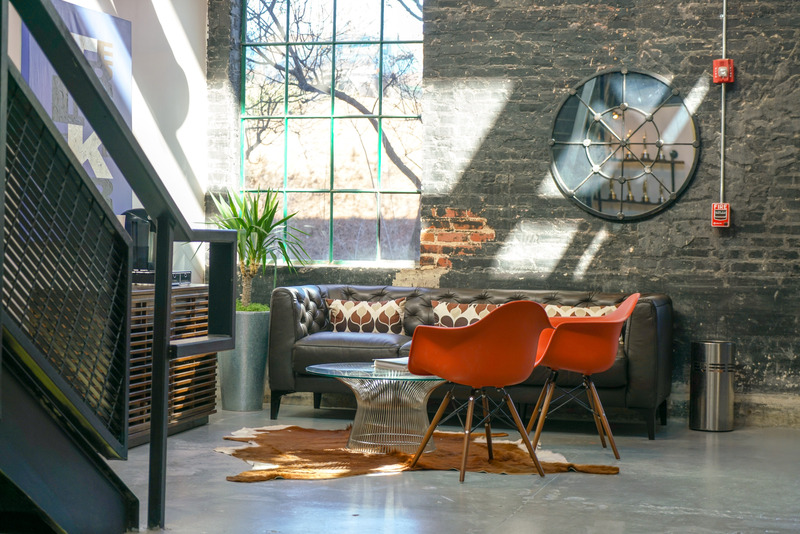 We spent 14 years owning two loft spaces at King Plow -- modestly adorned spaces that housed our firm from the beginning. We moved into the first one, thrilled to have a place we could call home (of our business). We outgrew it quickly and expanded it. Business was good in those initial years, even on the heels of the dot com implosion. We were fortunate to sell the place and upgrade to a space nearly double the first one, while remaining on the King Plow campus and in the gentrifying West Midtown community. Our new space was expansive and open without a single office. Your sense of arrival was adorned with a creative energy. After 14 years, though, we consumed the “growth” space we allocated and needed a change. We needed scale, but we didn’t need to lose our edge. And so we chose to remain in the city’s burgeoning urban business-scape and, once again, luck offered us another opportunity to double our spread with exposed brick, reclaimed wood and sky-high skylights. It was an upgrade in function and technology, in staff comfort and flexibility, in where and how you worked. It was millennialized. So we begin our next phase, our scaling phase, and we are reminded that we got here because of our work ethic: our willingness to get our hands dirty, to roll up our sleeves, to unknowingly accumulate sweat on our brow. Upon my return from the meeting, I just needed to set foot in our new space to realize it was the right space with a new edge. It was our edge.